Getting an organized kitchen is not impossible though it might be trickier. Learn about these 65 ingenious kitchen organization tips and storage ideas to succeed. Being organized is one of the first things we learn yet we’re having trouble with it even as adults. Kitchen organization is one of the trickiest things, simply because there are so many little things you need to pay attention to. Cabinets and drawer are not enough anymore. It’s time you considered a few more ingenious solutions. 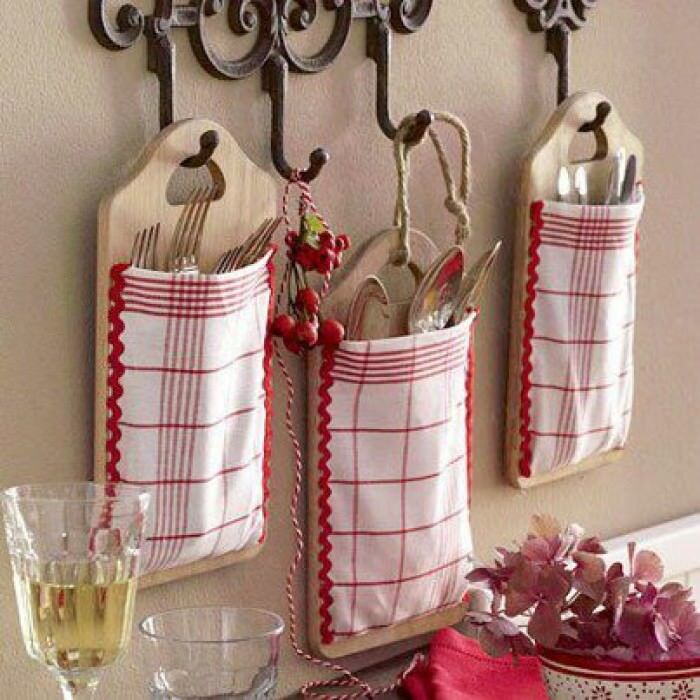 Make cutlery and utensil storage pockets using cutting boards and fabric napkins or hand towels. They’re great if you want to add a rustic touch to your kitchen décor. Re-purpose items and don’t be afraid to experiment. 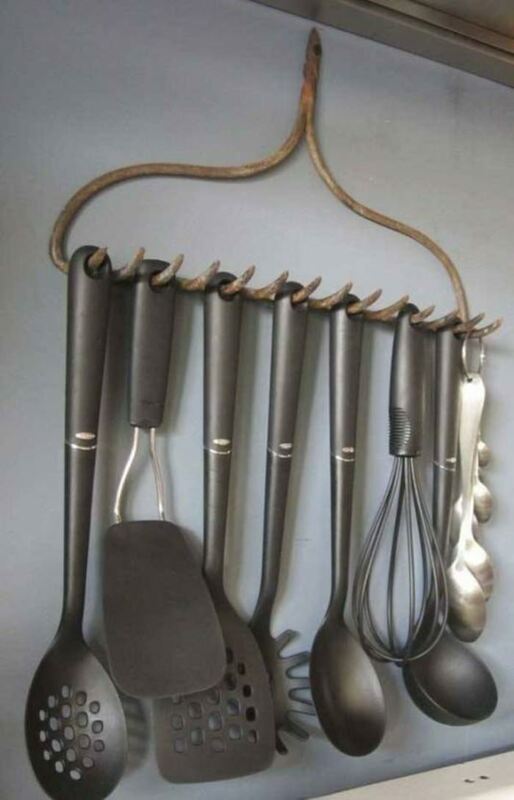 For example, a rake can be turned into a great storage solution for your kitchen utensils. Mount it on the wall and use the teeth as hooks. 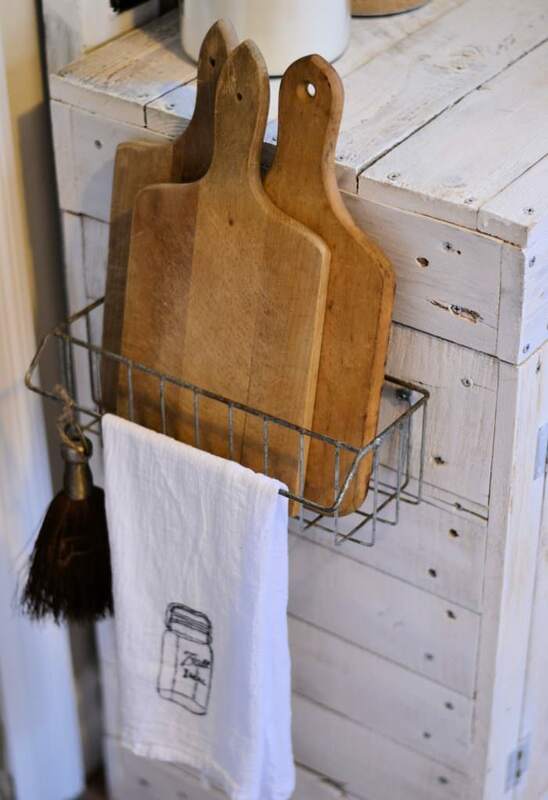 Install a wire basket on the side of the kitchen island or cabinet and use it to store your cutting boards. You can also use it as a towel rack. Visit Homedit to read the full post.